I’ve got a new gig with Cisco! Great team, enjoying it so far. In software development, the best teams on which I’ve worked are very flat. Everyone is hard working out of the gate, bringing skills that must be demonstated regularly to bring self-satisfaction. During analysis and design, and even implementation, quality decision making will always determine the project’s success. How is this best accomplished on a team of 5 or 8 people? Answer: check your ego at the door. If you have a complex task in which you must make a non-trivial decision, you should vet a proposal for the solution with the team. If you can sell it easily, it is a good decision, and it’s full steam ahead. If there are objections, and you agree with the objections, you change course accordingly. Obvious so far. Here’s the nuanced part: If there is dissention, it is time to employ logic, and logic only, with no ego, no authoritarianism. These discussions can be difficult in worst case scenarios, enough to make those with conviction in a specific solution uncomfortable as the others pick it apart. Good teams hang in there and ride it out. The final decision should be set by the team member who makes the case for the best solution implemented in the most efficient manner, in the opinion of the majority, always with a respect for the domain knowledge and experience of the members. Because egos are checked, reasonable concessions can be made with expectation that in the next round, equal respect will be given. Every member always contributes a fresh perspective, and the discussions ensure that the best ideas rise to the top, every time. Good software development processes usually includes metrics to measure success. Over time, lessons are learned, experience is gained, and this feeds back in to improve and inform the decision making process. I’m trying to determine how these principles can be applied to politics, which is a wreck in this country with the current level of corruption and propaganda, at unprecedented levels I never thought I would see here. There are three requirements: logic must rule over power and brute force, every time; there must be precise measurable, and measured, metrics by which to judge the outcome of every decision; these metrics must carry more weight than any philosophy or agenda or pontificating or bloviation. Any governmental effort has a cost. The effort’s value is measured against its ability to meet one or more of these goals. The decision-making process would be driven by measurement of value. Those on the right or left would adjust the values, but keep the system of metrics intact. The arguments would center around the target values, and how much a particular program benefited humanity. Instead of the circus we have now, where the Republican majority does not even believe in the collaborative potential of government. But today it is required. Let me clearly direct my hate: I hate selfishness, I hate Donald Trump, and most especially, I hate every single person who voted for Donald Trump, expecting more for themselves, to be generously doled out by the world’s most self-centered egomaniac. Everyone who voted for Trump has at least some of this quality of egocentrism, and I hate you for it. You are your own worst enemy, your ignorance will gain you nothing but destruction, and especially for those who are not already billionaires, you are absolute fools. I always assumed there was no kindness tolerated towards our fellow sentient friends on whom we experiment in the field of biology, and no leniency towards the students objecting to hurting and killing them. This Q&A on stack exchange (currently the greatest source of human knowledge, paired with wikipedia) gave me so much hope. I’m sure it’s still gruesome and unavoidable for many students in many lab situations but this is well-reasoned coverage of compassionate options for the conscientious objector. Why are we stuck with mediocre progress in the 21st century? My brother and I were debating progress. I am quite frustrated that technological innovation in this millennium seems so stalled. Sure we’ve had the PC laptop cellphone tablet and smart phone, wiring us all together, and they’re innovative and great. But they’re basically just consumptive devices we use to shovel sensationalized images and sounds into our orifices to stimulate our ever-dulled senses. Great innovators of the past brought us philosophy, plumbing, democracy, unlimited food, equality, the weekend, space travel, a leisure society, and so many paradigm shifts that jumped us forward in massive leaps. We are long long overdue for the next. Perhaps we are mired in the early stage of the information age. We drown in it every day. We spend many of them just caught up in the torrential flood of information with our jaws agape. Perhaps cycles are required. Perhaps it is the age of the right-wing redneck, pushing progress backwards in hopes that he can consume and destroy a lion’s share of resources just because his great grandfather did. That age will certainly not last too long before it implodes on itself. Perhaps there are too many of us, and we’ve come so far that any one of us would have to spend a lifetime just to become an expert on the existing knowledge in a specific area, with very little chance to extend it. But I still believe each of us should try to contribute. Our individual passion is our greatest strength. Mark Shuttleworth says it right: “Individuals are innovators”!!! He’s got it! You have to be a crazy, obsessive, arrogant, megalomaniacal wacko and drive well past where any reasonable group of people would go. Important stuff. No simple answers. Any way you come down on it, if you are after truth, the Edward Snowden interviews by the Guardian are worth watching. It seems crazy to have to spell this out, but it should be hard for a government to keep secrets from its own people. National secrets are a necessary evil, of course, but the necessary part should not blind us to the evil part. Deciding to try to keep any given piece of information secret should be difficult, and expensive, and prone to occasional failure. I will never forget that when George Bush declared war on Iraq, my initial reaction was to trust him because he had access to those “National secrets” that must… MUST justify his actions. That naive trust will never ever be restored. In the information age, we must seek truth, even – especially – in the dark corners of our government. Absolute power corrupts absolutely, so we must remain diligent citizens to sustain our freedom-based democracy. 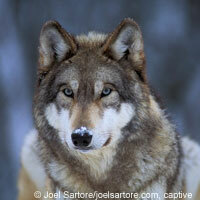 Please consider helping our wolf friends and signing this petition. There is so much animal abuse going on in our day and age, and these kind of large predators get the least consideration of them all. I know it’s hard to co-exist, so the easy route is to exterminate them. And there is lots of pressure from many directions to do just that. We don’t have unlimited chances to get this stuff right. AS SOON AS YOU DELIST THE SLAUGHTER BEGINS. And it will not take today’s modern hunters more than a few moments to destroy so much of what has been so difficult to accomplish and so fragile to maintain. I’m writing to you today to demand that the federal government not prematurely strip Endangered Species Act protections from most gray wolves in the United States. The restoration of wolves has been hailed as one of the biggest successes of the Endangered Species Act since it was passed in 1973. But the important work of wolf recovery is unfinished. Delisting the gray wolf will halt four decades of progress in its tracks and expose America’s wolves to unwarranted and unsustainable killing. This is precisely what has happened in Wyoming, Idaho and Montana, where the premature delisting of those states’ wolf populations has led to the killing of more than 1,100 wolves. This race to the bottom in wolf management threatens to seriously undermine wolves’ hard-won climb from the brink of extinction. Delisting could also derail efforts to restore wolves to more of their historic range that has huge areas of suitable wolf habitat, including Colorado, the Pacific Northwest, Utah and California. Wolves are an iconic, native species that play a vital role in restoring healthy ecosystems by keeping prey species in balance. Places like the Olympic peninsula and the Colorado Rockies could benefit both ecologically and economically from the return of wolves. Delisting would close the door on an historic opportunity to revitalize some of America’s best remaining wildlife habitat by bringing back these important animals. Someday, when wolves have recovered throughout most of their historic range, and when states refrain from managing their wolf populations in a politically driven race to the bottom then perhaps delisting is an option worth debating. However, we are far from that day, and delisting now would be an avoidable conservation nightmare. We urge you in the strongest possible terms to not turn the clock back on one of America’s signature wildlife conservation success stories. The future of full wolf recovery is in your hands.